If you are searching for a great café with quality food at reasonable prices, then the deck cafe bar can be the suitable option for you. The view of the sea from the terrace makes it something special among the visitors. The primary attraction of this bar is the event held on Sunday evenings. 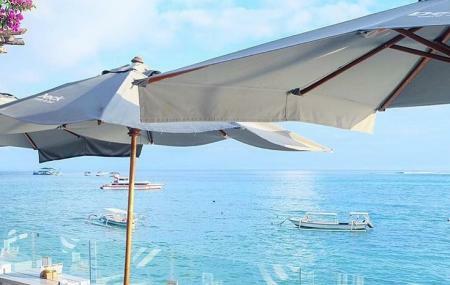 Besides enjoying the beautiful view with some quality music by the Dj in the background you may taste the best cocktail in Bali. You can even order some Italian gelato while enjoying the sunset. The hospitality of the staffs here will make your visit even more meaningful. To personalise your visit to the city, you can use an all-inclusive Anglesea trip planner for the same that will give detailed information about visiting the city. You can add cozy hotels in Anglesea like Lightkeepers Inn Motel, Great Ocean Road Resort and Torquay Tropicana Motel. There are plenty of ready-to-book Anglesea vacation packages available that will cover the major attractions, accommodation concerns including the prime one like how to reach Anglesea. I had lunch here today and it was absolutely amazing. From the view, to the service to the delicious food, everything was just perfect. I highly recommend the steak and croquettes, you won’t be disappointed with anything on the menu, it’s all lovely. Thanks to head chef Matt Germanchis for the experience, we can’t wait to come back. Highly recommended!! Went for breakfast. Have been many times before. Easily the best Anglesea has to offer. Have worked my way through the menu, yet to be disappointed. Food is well thought through, balanced and refined. In light of this I am really eager to experience the evening menu. Awesome dining spot, epic food, super friendly staff. Chef Matt Gremanchis serving up the best food that you will get along the Great Ocean Road! Highlights were... everything! I have been here for lunch several times now and won't hesitate to go back. Relaxed vibe with a lovely view, and the dishes which are mostly designed to be shared, have been thoroughly enjoyed on all occasions. It's a changing seasonal menu using great fresh produce. Very nice! Come here all the time ...food is always amazing and the creativity and passion that goes into the food is phenomenal...I'm a chef myself and I reckon this place Is the best in the area ...the service is exceptional as well...cant go wrong with a French lady :) great service...great good...great view and atmosphere...what more could you ask for?